Bruce Jenner, who has spent his entire adult life in the public spotlight, has secretly spent his entire life as a woman. Now the secret is out. "Yes, for all intents and purposes, I'm a woman," Jenner told Diane Sawyer in an interview televised on ABC on Friday night. Jenner said he has the "soul of a female" and told Sawyer "my brain is much more female than it is male," even though "as of now I have all the male parts." Jenner dreams as a woman. "I've been thinking about this day forever," Jenner told Sawyer, describing in emotional terms how male gender identity was a lie. But "she is not a lie," Jenner said. Jenner expressed optimism that "what I'm doing is going to do some good" and talked about becoming involved in transgender activism. "Bruce Jenner is a beautiful, brave human being," Ellen DeGeneres wrote on Twitter. "Sending him lots of love. He's saving lives and opening minds tonight." Advocates for the transgender community -- some of whom had prepared weeks ahead of time -- thanked Jenner for mainstreaming something that remains mysterious to many. "Today, millions of people learned that someone they know is transgender," GLAAD CEO Sarah Kate Ellis said in a statement. She said Jenner's story "will impact and inspire countless people around the world." While the special was airing, the E! cable channel announced a long-rumored documentary series about Jenner's transition. The 8-episode series will debut in late July. Both ABC and E! said that Jenner has, for now, indicated a preference to be called "Bruce" by the press and as "he," with male pronouns instead of female. 'I'm not stuck in anybody's body': Speculation about Jenner in the entertainment media had made Friday's comments widely expected. Speaking of himself in the third person, the 65-year-old Jenner told Sawyer: "Bruce Jenner has always been confused with my gender identity." "I'm me. ... I'm a person. I'm not stuck in anybody's body." As far as sexuality is concerned, Jenner told Sawyer he's not gay. "I've never been with a guy," Jenner said. "There's two different things here. Sexuality is who you are personally attracted to. .... But gender identity is who you are in your soul." In the interview, Jenner said he initially started to transition in the 1980s with the use of female hormones. "I did it almost five years," Jenner said. Jenner also at one point contemplated suicide. Jenner told Sawyer that after the paparazzi followed him to a doctor's appointment where he was receiving a tracheal shave -- a procedure that reduces the size of the Adam's Apple -- he considered killing himself. "I thought wouldn't the easiest thing right now ... just go in the room, get a gun, boom. Pain's over, it's done, go to a better place," Jenner told Sawyer. However, Jenner reconsidered, saying he wanted to know how his story ends. 'The one real true story ... was the one I was hiding': The interview addressed Jenner's role on the massively popular E! reality show, "Keeping Up With the Kardashians," the show built around the blended Kardashian-Jenner family. Jenner said that the real story on the show was within. "I had the story," Jenner said. "We've done 420 episodes, I think, and the entire run I kept thinking to myself ... the one real true story in the family was the one I was hiding." "The one thing that could really make a difference in people's lives was in my soul, and I couldn't say anything," Jenner continued. During the special, Sawyer said that ABC sought comment from Jenner's third wife, Kris Jenner, but that Kris declined. The couple recently divorced. 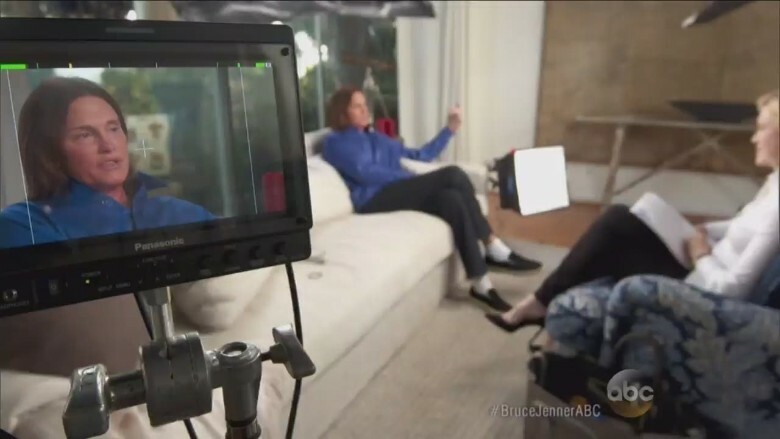 Kris seemingly denied this in a tweet to Perez Hilton: "No one asked me to comment .... and I'm sitting with Bruce now watching this show so let's keep it real..."
An ABC News spokesman responded: "ABC sent an email to her publicity team more than once. They called and said no comment." After the interview, many in the Kardashian family expressed their love for Jenner. "Couldn't be a more proud daughter," Kourtney Kardashian tweeted. "I am honored to stand by Bruce's side and support him." The sentiment was also shared by Kourtney's sister, Khloe. "Just finished watching #BruceJennerInterview with the family," Khloe said on Twitter. "Dads really are heros [sic]." Sawyer also received high praise from social media for conducting the interview with an educational tone and proper respect toward the transgender community. "This is what responsible reporting on transgender lives looks like --thorough while kind, deep yet patient," Mara Keisling, executive director of the National Center for Transgender Equality, said after the interview aired. In the run up, ABC worked to stoke interest in the interview. It had revealed little about its contents ahead of its air time. 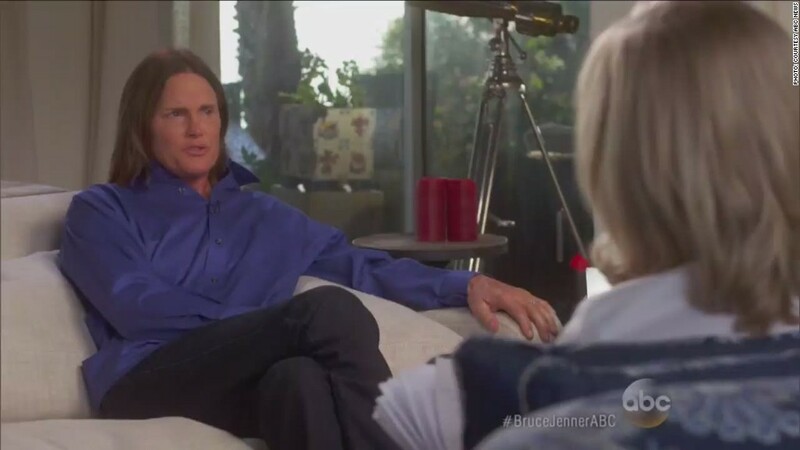 The special was called "Bruce Jenner: The Interview" -- a title that gave nothing away. In short preview clips, Jenner has said things like "My whole life has been getting me ready for this."